The Former Spokesman for the Defence Ministry and senior leader in Al-Bunyan Al-Marsous Force, Mohammed Al-Ghusri, said that investigations conducted by the Attorney General's Office with prisoners of ISIS revealed the existence of several graves containing ISIS fighters. 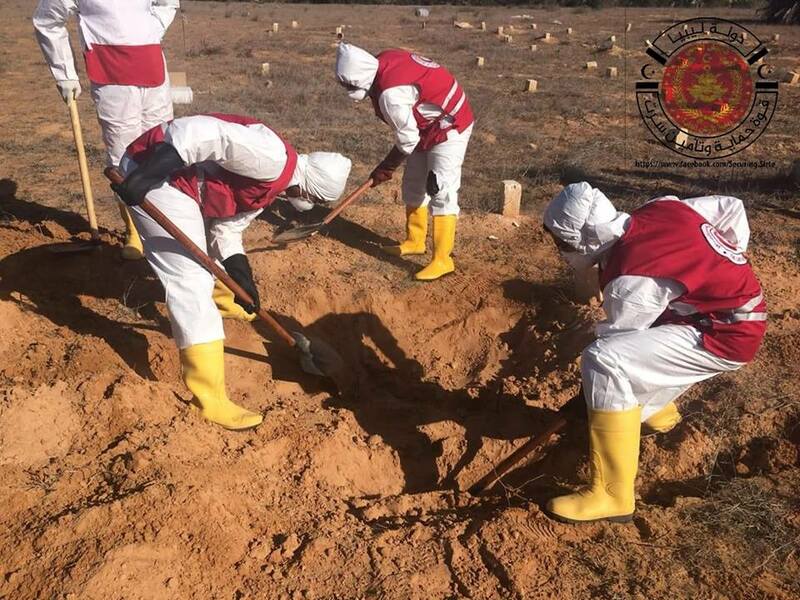 Al-Ghusri explained that the head of the Bureau of Investigations Al-Siddiq Al-Sour issued instructions to the General Prosecutor in Sirte, in cooperation with the Red Crescent and Al-Bunyan Chamber, to open the cemetery in Al-Thahir area in Sirte to exhume and identify the remains in the grave. He added that investigations have concluded to the existence of remains of Arab and foreign nationalities, pointing out that the identity of the bodies will be revealed as soon as the DNA results come in.